Bossy Italian Wife : Bring Out YOUR Inner Bossy Italian Wife!!! Some people say “bossy” like it’s a bad thing...and I get it, really I do. I just also happen to disagree. I am a woman who knows what she wants and I frequently tend to get it because I go after it fiercely. That’s not to say that I don’t have hang-ups, or downfalls, or whatever. 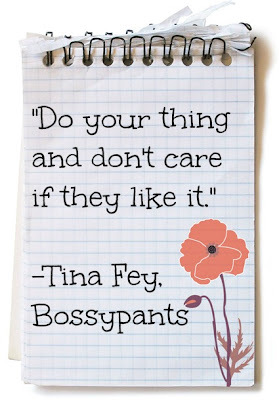 But there are clear advantages to my “bossy” status. 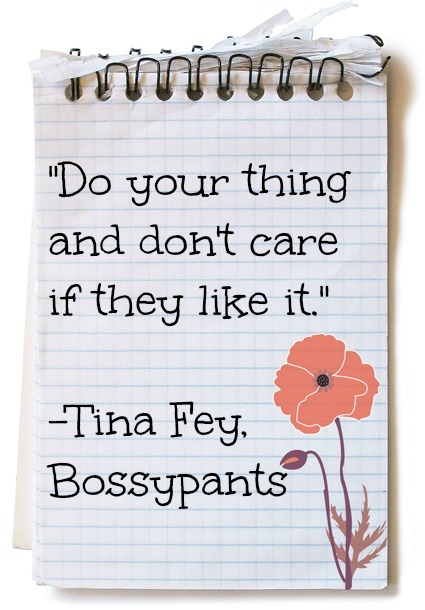 If you wanna bring out more of your inner bossy, here is a list of how to do just that. They are essentially my tips on how to find your inner Bossy Italian Wife and get well on the way to getting what you want! Shakespeare was a genius. And this simple line clearly defines one of the most important things you can ever commit to in life: yourself. I don’t care what other people are doing--I do what I think is right and what works for me. I am true to who I am because no one else has to live my life. If you don’t try, you’ll never succeed. Failure is a part of life and a part of the learning experience....and all a part of the fun! I love to test my limits, see how high I can jump--that sort of thing. So when you feel the fear of failing nipping at your heels, give it a kick and shake it off! Whether you are trying to make your first quiche or going for a new job, go for the gusto! When someone really hurts my feelings I remind myself all the reasons why I am great. It may sound cheesy but a little self confidence goes a long, long way. When you believe in yourself, others believe in you too. It’s contagious, in a good way. You will get a lot of no’s in this life, but that doesn’t mean you have to listen to them. When it comes to business, if someone tells me “no” it makes me more determined. Someone is bound to tell you “yes”--you just haven’t found them yet. Go find them. I am immediately drawn to people who have a defined personal style--their little niche. Whether it’s a hobby, or a certain type of decorating, or just wearing red lipstick all the time, carve a personal style niche for yourself and rock it out. People love things that are different and authentic and it draws them like a magnet! Now that you have heard some of my tips, I want to know, what are yours?! Share with me in the comments section below!!! !